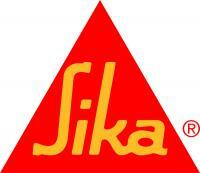 Sika is a global leader in speciality chemicals for construction and industry, with proven solutions in the areas of sealing, bonding, damping, reinforcing and protecting. Sika has provided the green roof waterproofing membrane for Australia’s largest desalination plant as a part of the Victorian Government’s soon to be completed construction project in Wonthaggi. The green roof, covering a total area of 26,000 square metres and incorporating 100,000 plants, is the largest of its kind in the southern hemisphere and forms an important part of the project's landscape architecture. Providing acoustic protection, corrosion resistance, thermal control and reduced maintenance, the roof utilises the Sika Sarnafil system which creates a waterproof barrier for the lightweight, structural ply substrate. The thin profile green roof, requiring just a few inches of media, incorporates patterns using a rich tapestry of indigenous vegetation tolerant of high heat, salt drift,drought and wind. Located in a revegetated coastal park, the desalination plant required a design which made the structure barely visible from all public viewing points. The green roof helps to integrate the building into the environment and enables the continued bio-diversity of the site in its regeneration, acoustic moderation and storm water management. Faulty seams are a common source of leaks in green roofs. Some waterproofing membranes use sealants, adhesives or tapes to secure the seams. Sika Sarnafil’s membrane is thermoplastic, meaning seams and flashings are welded together using Sika Sarnafil’s automatic hot-air welder, resulting in one monolithic layer of material that is impervious to moisture infiltration. The waterproofing membrane will provide ongoing protection to the structure from the intensely damp environment, allowing for ongoing irrigation and resistance to root penetration. As the largest green roof of its type in the southern hemisphere, the Victorian Desalination Plant green roof will be the subject of two papers presented by Fytogreen and Aspect Studios for the International Green Roof Congress in Copenhagen in September 2012.